Operation: Mindcrime – Releasing New Studio Album On September 23rd, via Frontiers Music srl – New Single Streaming! NEW SONG ALERT: Operation: Mindcrime will release their brand new studio album, RESURRECTION on September 23rd and today we are pleased to bring you the first song to be released from the album: “Left For Dead”! On RESURRECTION, Geoff Tate (Official) and company continue down the excellent progressive rock/metal path they started down on their debut album, “The Key”. Queensrÿche – ‘Frequency Unknown’ Hits the Billboard Charts! 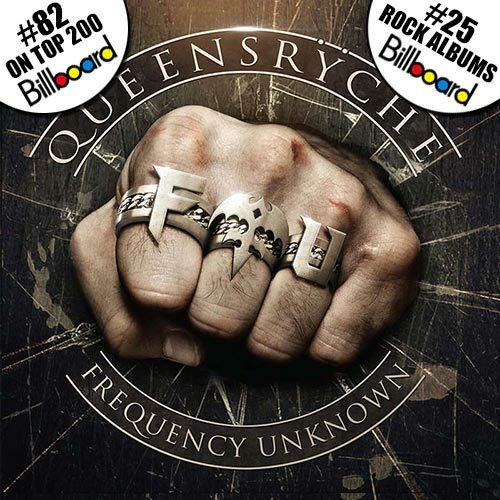 Queensrÿche – The legendary Geoff Tate fronted Queensrÿche has debuted on the Billboard Charts at #82 on the Billboard Top 200 and at #25 on the Rock Albums chart! 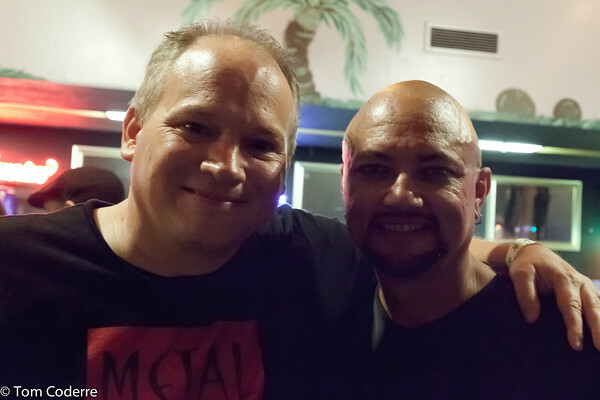 A Metal congratulations to Geoff Tate and his Queensrÿche band! Metal be thy name! * For more info on Queensrÿche, click on the links below! 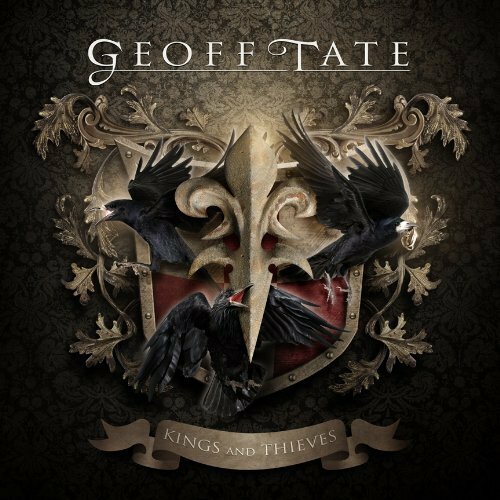 GEOFF TATE – KINGS AND THIEVES Releases Today! Dark Money (Lyric Video) Is Stone’s METAL Pick Of The Day! GEOFF TATE – The Voice Of Queensrÿche. For over three decades running, Geoff Tate is a top-tier vocalist who spans Rock, Hard Rock and of course… Metal. Geoff Tate is a name that comes up when other well-known musicians talk to me about influences. The only vocalist that I identify with Queensrÿche is Geoff Tate. I’ve been fortunate to hear the vocals of/and witness Geoff Tate in a live setting, on multiple occasions while he was fronting Queensrÿche. Wether it was an arena or club, I’ve observed Geoff Tate commanding both stage and crowd. Today, Geoff Tate’s sophomore solo album, Kings And Thieves, will be released via InsideOut Music. Whoa! If you are a fan of Geoff Tate and/or Classic Heavy Rock, like myself, the celebration of this vocal and songwriting legend never ceases! Legendary vocalists are born and not made and give their songs profound emotion. Geoff Tate is living proof of this. Metal be thy name. Take a listen (and read) below to the lyric video for Dark Money… this song ABSOLUTELY ROCKS! * For more info on GEOFF TATE, click on the links below! Queensrÿche – Back on August 2nd, 2011, I and staff photographer Tom Coderre went to cover the Queensrÿche concert at Allentown Pennsylvania’s Crocodile Rock Cafe for the ultra cool HARD ROCK HIDEOUT. When HRH’s Rob Rockitt gave us the assignment we were overjoyed! Why not head over to Hard Rock Hideout and read for yourself, the concert review I wrote while checking out some very cool photos of “live” Queensrÿche… courtesy of Tom Coderre. Just click on that big header link below to take you there! Metal be thy name! 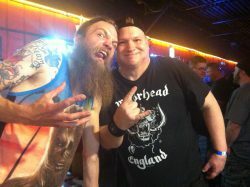 Top photo: To the right is the legendary vocalist, Geoff Tate, of the also legendary Queensrÿche. Geoff and each member of Queensrÿche are class acts. The dude to the left, well, you’re looking at a happy Stone. The words “overjoyed” and “happy” were used in this post. 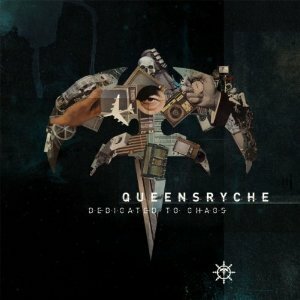 QUEENSRYCHE – Dedicated To Chaos: New Studio Album Releases On June 28th, 2011! QUEENSRYCHE – Dedicated To Chaos, the twelfth studio album from American Progressive Metal legends – Queensryche, will be releasing on June 28th, 2011, on RoadRunner/Loud & Proud Records. A “Special Edition” of Dedicated To Chaos will also be released on June 28th, which contains 4 extra songs (see track listing below). There’s always that cool Metal feeling I get, knowing that a new Queensryche studio album is on the way… I can’t explain it away and won’t begin to try. Metal be thy name. * The Dedicated To Chaos (Special Edition) contains 16 songs. The 4 (Special Edition) songs are: Broken, Hard Times, I Believe and LuvnU. Queensryche has done it, done it very, very well too. “American Soldier” is a Progressive Metal achievement, in my Metal opinion. This is a concept album, that was written from the words spoken from those who have served in the United States Armed Forces. This release brings Queensryche back to where they belong, at the top of the Metal heap, reminding me of the “Operation Mindcrime” days. This is an album to really follow along to, with the lyrics that are inside the liner notes. Each song does lead itself into the next, both with it’s time line and lyrical content. Geoff Tate has the vocals that are shearing with pure emotion, hitting the high notes and making it sound like it was done effortlessly. Michael Wilton on lead guitar does not steal the show, nor does he have to on a splendid Metal creation like this. Michael Wilton plays guitar with exactness, creatively lending his unique sound of his playing the six string do the talking. Ed Jackson on bass and Scott Rockenfield combine for as cohesive a rhythm section as can be, all the while giving each other the flexibility to shine in their own musical identity. Emily Tate (Geoff Tate’s daughter), lends her talented, soft and decisive vocals on “Home Again”, an inspirational song that offers hope, that a solider will come back home. You will hear musical elements that have that Middle East ambiance, something we have been hearing every so often now among many recent Metal releases, (Ozzy Osbourne’s “Black Rain” album for example). “A Dead Man’s Words” will definitely let you know, what I exactly mean on this point. You are not going to hear anything close to “Jet City Woman” here, the pumped up Metal this is not. What should or could pump you up about “American Soldier”, is it’s musical tone and lyrical content, which just might set you straight on a Metal reality check about the value of life. “American Soldier” is better than I expected, bigger in it’s message than I anticipated, this is the pinnacle of the Queensryche Metal music catalog. Reading through the liner notes, listening to the lyrics, I am convinced that Queensryche made “American Soldier” not for a quick buck, nor for stardom. This band already has both. Queensryche created “American Soldier” as a tribute to the men and women who have served the United States Armed Forces during war and peace time, an appreciation for freedom that comes with a price. Anyone who reads these liner notes and lyrics will walk away with this same opinion, it is impossible not to. In my opinion, this is far from being a political album or statement, I judge it as the liner notes state, that these songs are the voices of the soldiers, of their experiences, in their words. Queensryche – where it all began for this superior Metal band. It was 1983 when I first heard Queensryche on the radio, I heard them on an FM station of course, on a radio show that aired on Saturday nights that was called “Metal Shop.” The very first song I ever heard from Queensryche was “Queen of the Reich,” I was hooked by this band ever since. Geoff Tate, in my opinion, has always had just as powerful and prolific vocals as any other singer in the history of Metal. 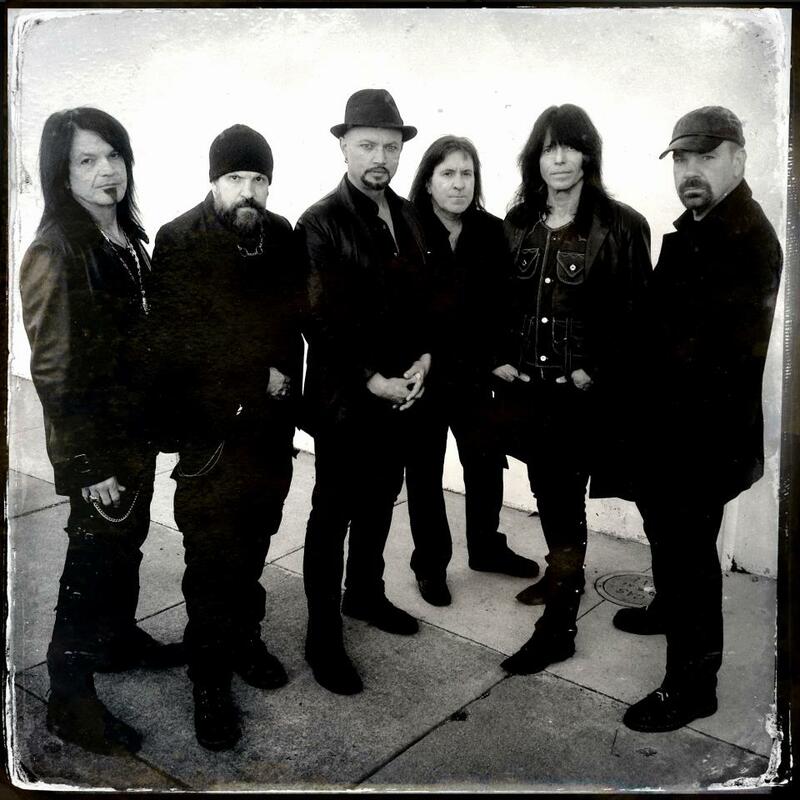 Queensryche can and has fit right into a few different Metal genres, Heavy Metal, Metal and Progressive Metal. With their debut EP “Queensryche” released in 1983, I easily embraced this great Metal band and remembered telling anyone who would listen that this band was for real. Only 4 songs were on the “original” Queensryche EP, – “Queen of the Reich”, “Nightrider”, “Blinded” and “The Lady Wore Black”. These four songs paved the way of the Metal future for Queensryche, without a doubt, an important and historical Metal EP this is. 27 years of recording and touring, Queensryche proved to the world just how real they are! You can still buy this EP, it has since been re-released, (2003), with the addition of 10 bonus tracks. Now, that is far more tunes than the original 4 song, vinyl record I bought back in 1983! On March 31, 2009, Queensryche will release their brand new studio album, a concept album, titled – “American Soldier.” I have heard bits and pieces of the songs from around the internet already, tremendous and emotionally moving Metal is what I can honestly say at this point. I simply cannot wait to own this album and listen to it time and again! Once I get my copy on March 31, I will listen with Metal glee, then I guarantee a “must buy” review for “American Soldier” right here, on Metal Odyssey.